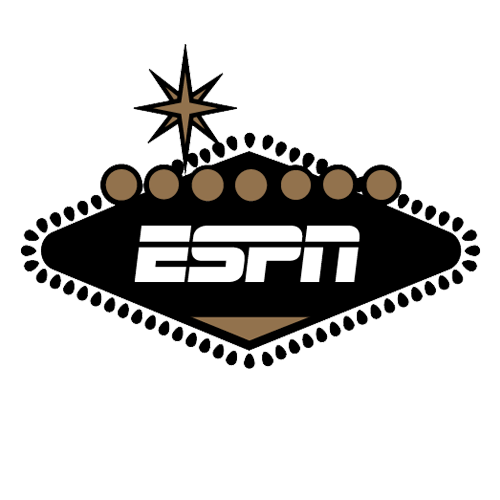 The 2018 college football season is kicking off, and ESPN Chalk is here with betting previews for the top 25 teams, according to the ESPN College Football Rankings. College football experts Phil Steele, Chris Fallica and "Stanford Steve" Coughlin combine to break down each team's strengths and weaknesses, along with season win total bets and national title odds. Our Stats & Information Group also provided a look at ATS records for all 25 teams. Note: Odds from Westgate Las Vegas SuperBook as of Aug. 24. Strengths: If Tua Tagovailoa gets the nod at starting QB, the Crimson Tide still have the best backup in the nation in Jalen Hurts, who owns a 26-2 record as a starter. They have my No. 2 set of running backs, No. 3 offensive line, No. 4 defensive line, No. 1 set of linebackers and No. 8 secondary. Nick Saban has five national titles at Alabama, including two in the past three years. Weaknesses: Alabama must replace its punter and kicker, and right now the special teams rank outside my top 50. The linebacker depth has taken a hit, as the Tide lost three linebackers prior to the season, and it's unknown if Terrell Lewis will return before season's end. Over/under: Saban might have five national titles with Alabama, but just one of them came after an undefeated season (2009). It is difficult to go unbeaten in college football, and that is what you need as a bettor to cash this bet. Before you bet the under, however, Alabama will likely be a double-digit favorite in every game this season. I'm passing here. National title: If the Crimson Tide were 6-1 or even closer to 3-1 (like in previous seasons), there might be value. They deserve to be the favorites, but this isn't a bet worth making for me. I'm not in the business of needing a perfect season to cash an over, so I wouldn't be all-in here, though the nice plus price on the over is tempting. You're looking at a 10 percent chance of winning out and at least a 67 percent chance of winning in each game. It's really hard to envision the Tide losing a game, as historically they win games they are supposed to. Are they really going to lose at LSU or home versus Texas A&M or Mississippi State? And you would think that after a loss at Jordan-Hare last year, payback could be, well, you know the phrase. That's a tough price to win the title, as the only teams that truly match up with Bama are the ones the Tide would likely meet in the SEC Championship and CFB playoff. But it's plus money, and when Alabama makes the College Football Playoff, it will be favored over any other team. If you're holding the Tide at plus money, you will be in a great position. How do you view the defending champs this season? Are you the person who thinks it will be too hard for Saban to replace his top six players in the secondary? Or are you the person who thinks he'll just replace those guys with the four- and five-star players who remain on his roster, including true freshmen (most notably the top-ranked incoming cornerback, Patrick Surtain II)? If Hurts won 11 games last season, why can't the Tide do it again, even if Tua wins the QB job. They return their two most talented RBs in Damien Harris and Najee Harris and plenty of talent at wide receiver, even though they lost Calvin Ridley. They are also really deep at the tight end position and return plenty of experience on the offensive line. I choose to look at it this way: Over the past 10 years, the Crimson Tide have gone 125-14 (including 71-9 in SEC play). Why doubt them? I say over 11.5 wins at plus money.